What percentages of the decisions made by you at the workplace are emotional as compared to rational ones? Usually, most of the people suggest that it is 20 percent or less. But the truth is that every decision taken by us is 100 emotional and then we follow that decision underpinning with several logical justifications. The reason being all of us are human beings rules by emotions and this emotional baggage can’t be left at home. Accepting this fact as well as handling these implications would be highly favorable not just for you but would be valuable for your workplace also. As mentioned in the book “Working with Emotional Intelligence Skills” written by Daniel Goleman, a strong link exists between emotional intelligence skills and performance at the workplace. He found that out of all the competencies about 67 percent competencies were connected with emotional intelligence skills, and were very important for high performance at the workplace. Furthermore, Goleman stated that the emotional intelligence skills of a person are twice important than his/ her Intelligence Quotient or technical knowledge for delivering high performance. 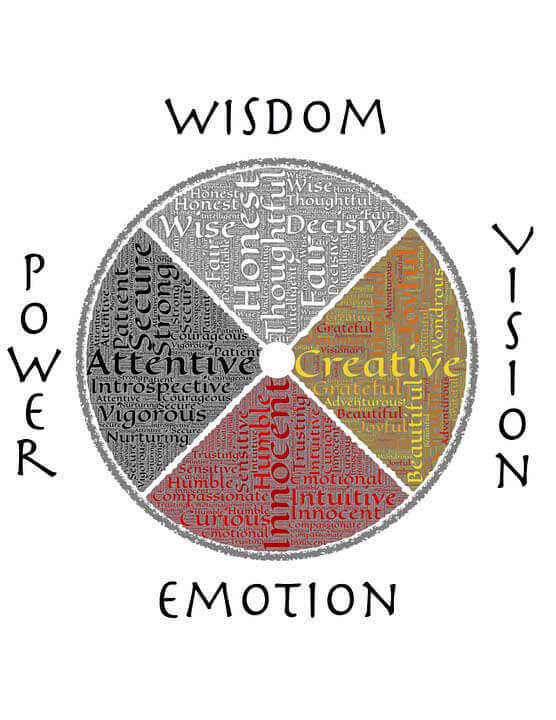 Emotional Intelligence Skills (EQ) can be explained as the talent or capability to know the name as well as manage personal emotions while analyzing and understanding the emotions of other people as well. Thus EQ helps in linking up with others in the highly successful manner both professionally as well as personally, that too in a wider range of roles as well as contexts. Although the term “emotional intelligence skills” was coined during the early 1990s, it was very rapidly adopted by the business leaders, who made it a management concept of great importance. As per the guidelines of EQ, success gets impacted and inspired by several personal qualities like self-control, skills of getting along with others or perseverance. There have been lots of research and articles written on EQ and how it can be improved amongst employees, but the hiring managers can easily make much better hiring judgments if they recruit people who already have the higher level of EQ. EQ is effective in managing stress and is important in promoting teamwork as well as cooperation as it assists in gaining knowledge in relationships. 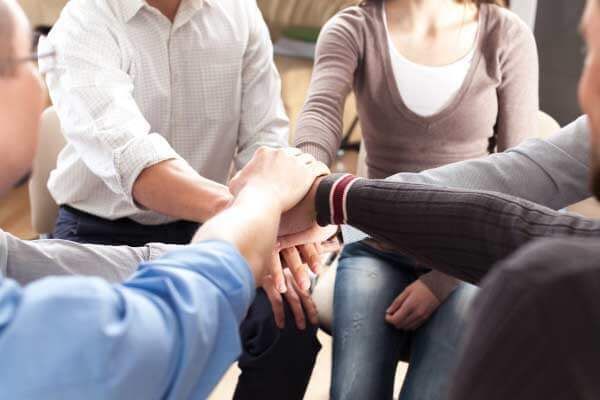 Our capabilities of working in a team get affected by our emotions, thus we need the power to connect, integrate as well as self-soothe in the relationships existing in the workplace. Excellent knowledge, emotional intelligence skills combined with great experience can get you a job, but EQ is the vital factor which will decide your success and the rise within the organization. : A person having wisdom about this pillar of self-awareness will easily understand and analyze his/ her strengths as well as weaknesses. This will help in him/ her to analyze the impact of the actions taken by him/ her on other people. A self-aware person is good at handling as well as learns a lot from constructive emotional intelligence skills criticism around him/ her. : Higher EQ means that the person can show-off his/ her emotions in a matured manner, while also practicing restraint as and when needed. Instead of putting a lid on his/ her feelings the person knows well how to put them across with proper amount of dominance as well as restriction. It has been found that the people who are emotionally intelligent are highly self-motivated. It is not just money or the job title which motivates them, usually, they are found to be highly optimistic as well as strong, mostly in disappointing situations. It is their inner goals which drive them. A person who has the quality of showing empathy will be generally compassionate and will be analyzing human nature also very well. This also helps the person to easily associate with the other staff or team members in at an emotional level. Thus, the capability of showing empathy helps the person to deliver better service as well as to take right actions towards the concerns of other people. : Being a person with higher emotional intelligence skills makes one possess more affinity and such people can easily build trust with their team members. Mostly they try to stay away from the habit of backstabbing as well as power struggles. They are mostly fond of other’s around them while showing respect for the other team members or colleagues working with them. These five pillars of EQ are necessary for successful candidates who can easily thrive and create a positive environment in the workplace. Therefore it is very important for the organizations to look for new hires with higher EQ and on the similar front, they should also have business leaders or managers who can quickly act in the emotionally intelligent manner so as to cater to the requirements of their workers and their needs. The emotional needs of the employees at the workplace are worth paying attention. The organizations who invest in the concept of EQ own much more engaged employees who are more committed. Going over and above the roles and responsibilities of traditional leadership, the leaders in today’s organization need to be much more caring as well as sensitive about what matters the most to their employees. That is why we are sharing a few effective ways for making the employees more emotionally intelligent. Detect the Stress and Response to it: the very first step towards increasing emotional intelligence exercises to find out how does the stress feel like. Do you know how does your body feel and react when it is under stress? By being attentive to the physical responses that occur towards any response, you can easily regulate anxiety or nervousness whenever it takes place. In the conditions when you become stressed or angry, you can easily handle them with the help of stress relieving activities that will help you in soothing down. Take care of People Around: Care, although one simple word and easy to do, but is rarely genuine in being delivered or not expressed always. Therefore, leaders need to learn to create a perfect balance between the heart and the head. Being a leader, one needs to display a mature attitude combined with passion and should be more compassionate to create a balance between what is required from the human spirit and what is needed at the job. Employees never ask for hand holding for doing any job, they just want the appreciation of their efforts and hard work. Just show the extra efforts taken by you by saying thanks and being a leader with high EQ you should be consistent with it. Develop Emotional Awareness: Many people are found to be pulling out from the emotions, mainly from the core emotions like joy, anger, fear or sadness. The reason for this can be negative childhood memories or experiences, through which they learn to try to block or shut their feelings. Although our feelings can be denied, distorted or number, they cannot be totally eliminated. Therefore, to be healthy as well as emotionally intelligent on the emotional front, one needs to re-establish the connection with unpleasant or strong emotions. We need to bring a change in the way we respond towards our feelings or the manner we experience them. Try to develop emotional awareness by either using some kind of help guide in order to bring a balance in one’s life. Be Accountable: being the leader does not mean that cannot be equal to other staff members. This clearly suggests that one should hold yourself also accountable while enforcing the similar rules of getting the engagement as one expects to form the employees. This perspective is adopted by best leaders always, but in the current scenario, this kind of behavior should also be deliberate amongst the leaders. Employees always are pleased about the leaders who will share their privileges as well as perks. Transparency about leading and admitting whenever you are wrong is always appreciated. Employees always value the leaders who are relatable as well as approachable. Non-verbal Communication: starting from the tone of voice to the body language, all covered under non-verbal communication intends to send the messages that you do not want to. So you need to learn to exercise control over non-verbal communication, which simply commences with being focussed on others, listening carefully before making judgments as well as making proper eye contact while giving your opinion. Successful non-verbal communication totally relies on the capabilities you have for managing stress. It important to find out your personal emotions at the same time analyze the signals sent out by you as well as received by you. Embrace Emotions: Few times every day make it a point to check you while doing a self-evaluation of your thought process. It will help in finding out your strengths, weaknesses, emotions or shortcomings. This will help you out in accepting the fact that everyone on this earth is not perfect. Check whether you can accept this fact. Are you ready to work on your lacunas to improve your emotional intelligence? Be Thoughtful of Needs: If your team is not performing well or staffs are not obeying your orders then you are not working as a good leader. You need to keep your radar of sensitivity always on. This suggests that you need to be mindful of yourself as well as thoughtful about the team members so that they show their full potential. Every person has the capacity to show improvements as well as to increase their productivity. This can be best done through continuous as well as regular feedbacks, suggestions, and recommendations. Think Before Acting: Thinking is imperative, so just analyze and find the results of the actions taken by you. The best way is to put you in their shoes, before taking any major action. This will help in finding out the real-time impact or consequences of your actions. If it becomes taking any action which is very necessary and has a negative impact, find out how you can help others in the team to handle the negative impacts easily. Show Humor and Humility: The best way of seeking attention is to let your work speak for it and not you. The best way of getting appreciated is when other speak good about you and your actions. So learn to put the entire spotlight on others and this will depict the emotional intelligence exercises humility aspect of your personality. Whenever facing any challenges bigger or smaller, just take a deep breath and always demonstrate your best sense of humor. Be Responsible: Being emotionally intelligent means being humble and always being ready to shoulder any responsibility. You should be ready to take responsibility for your actions whenever the things are not going right. Just in case if you have hurt someone’s, sincerely apologize for your wrong actions. Try walking away from unnecessary arguments. Learn to forgive and forget instead of nurturing the feeling of resentment in your heart. Taking revenge or revengeful attitude is bad for any person and lowers the emotional intelligence quotient. Learn to stay happy and spread laughter all around. Here are some articles that will help you to get more detail about the emotional intelligence skills so just go through the link.